SKU: 4588-109. 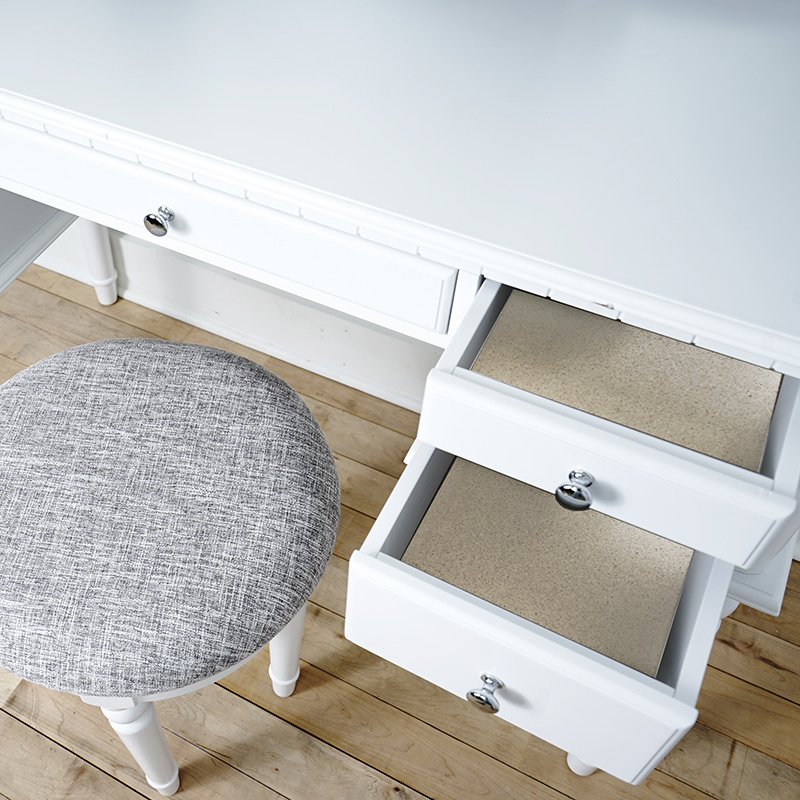 Categories: FURNITURE, New. 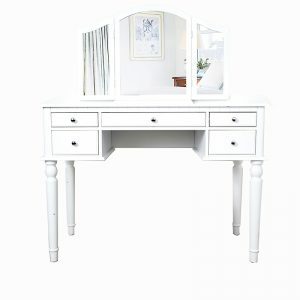 Tags: Ainsley Vanity Desk, furniture, haven home, office furniture, Vanity, Vanity Desk, white desk, white vanity. 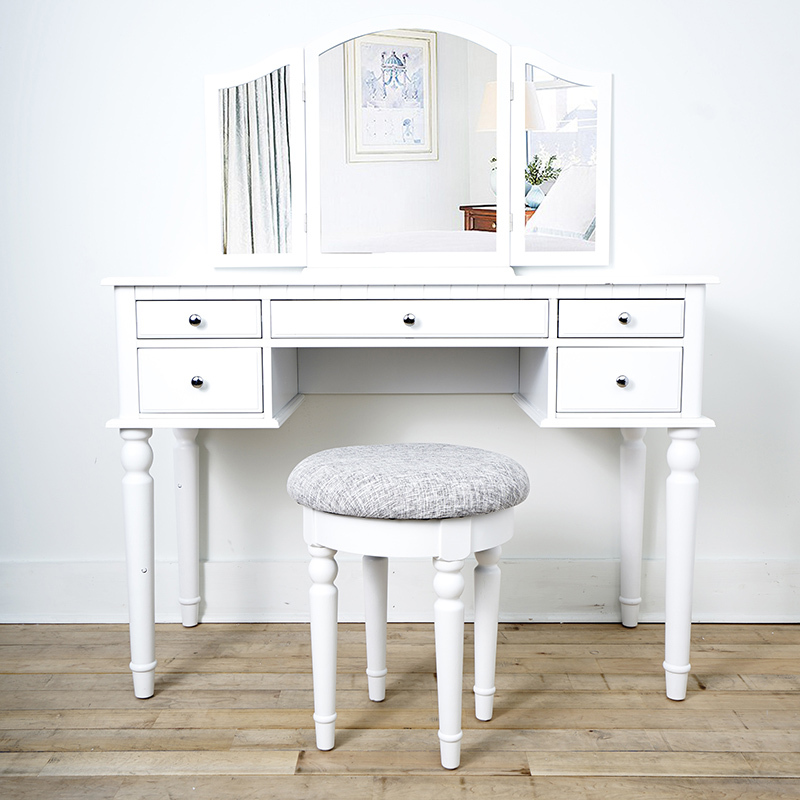 Step back in time with the glamorous Willow Vanity Desk that brings back memories of Old Hollywood sophistication. 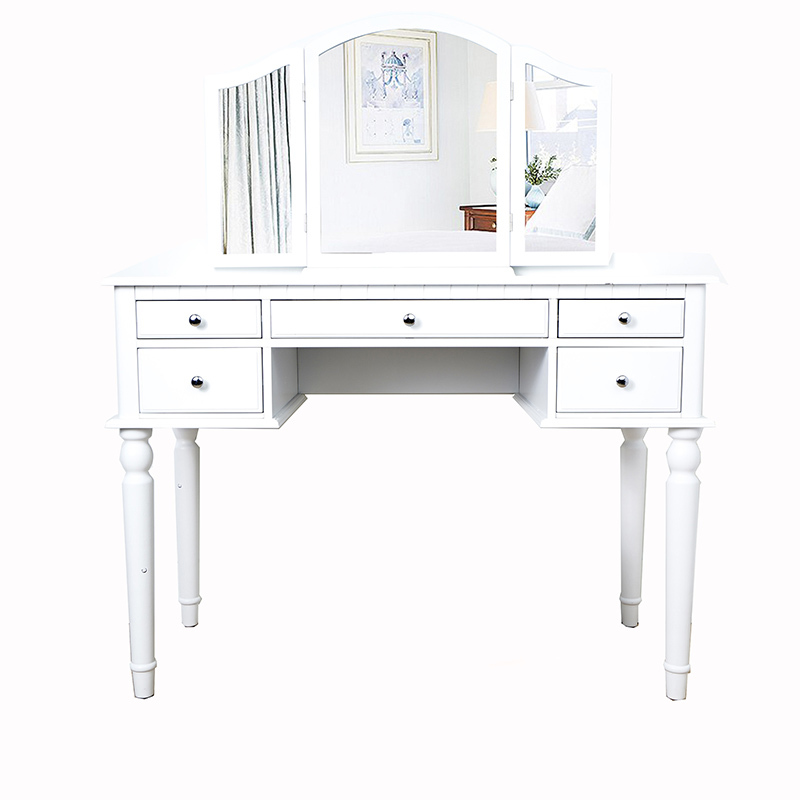 With its crisp white finish and beveled accents, this functional vanity desk perfectly marries modern and vintage design elements. 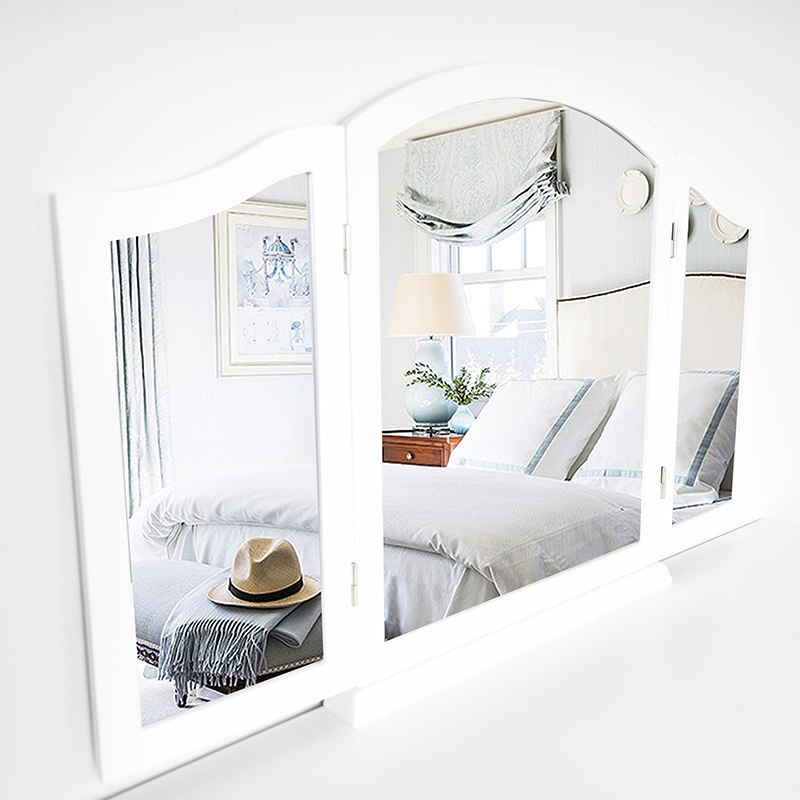 5 drawers and a spacious foldable vanity mirror makes this piece as functional as it is attractive. 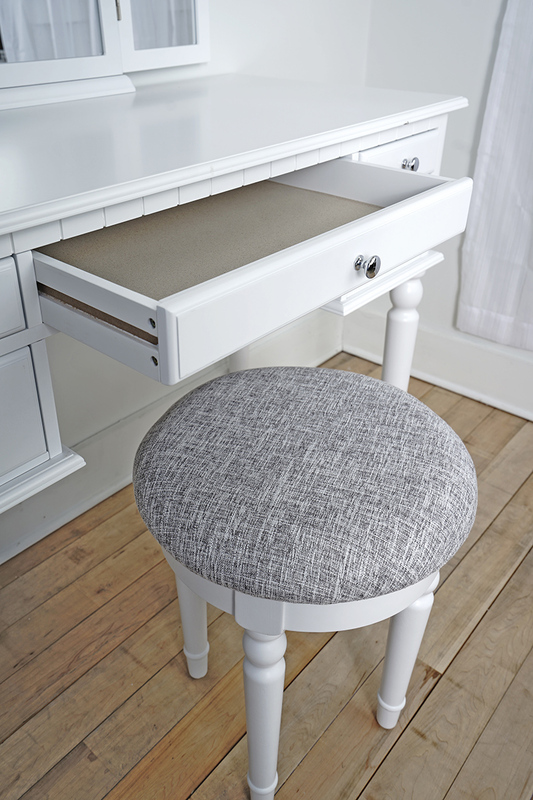 A matching stool featuring cool grey upholstery completes the set, making this the ideal place to get red carpet ready.